In addition to the current tragic lead poisoning of their drinking water, the City of Flint, Michigan faces serious challenges related to its high number of abandoned properties and vacant lots. These empty patches in the landscape pose safety risks, decrease the city’s visual quality, and often contribute to environmental contamination. One of the most problematic vacant lots, a 130-acre property known in Flint as “Chevy in the Hole,” was a key center of manufacturing for General Motors for most of the past century. Adjacent to downtown and surrounded by residential neighborhoods, redevelopment of this riverfront property will play a key role in Flint’s recovery. In the planning document linked to below, the Flint Futures group from the School of Natural Resources and Environment, University of Michigan presents two scenarios for redevelopment of Chevy in the Hole, each responding to a different series of plausible assumptions about residual contamination and Flint’s future growth. Both scenarios are based on the stated preferences of Flint’s residents and business owners. In 2005, Sasaki Associates worked with a client group composed of the Genesee County Land Bank, Kettering University, and the C.S. 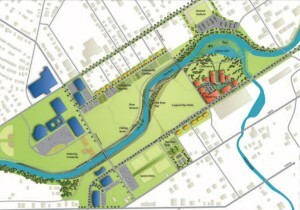 Mott Foundation to create the Flint River District Strategy. The Flint River District Strategy report outlines a broad vision for redevelopment along the river, stretching from UM Flint to the Mott Park Golf Course. It has helped bring stakeholders together and several parts of the plan are already underway, but it does not address the economic and environmental complexities of Chevy in the Hole. Chevy in the Hole is a brownfield site, that is, a site where real or perceived contamination complicates redevelopment. Brownfields present special problems, and redeveloping these sites requires particularly careful planning. 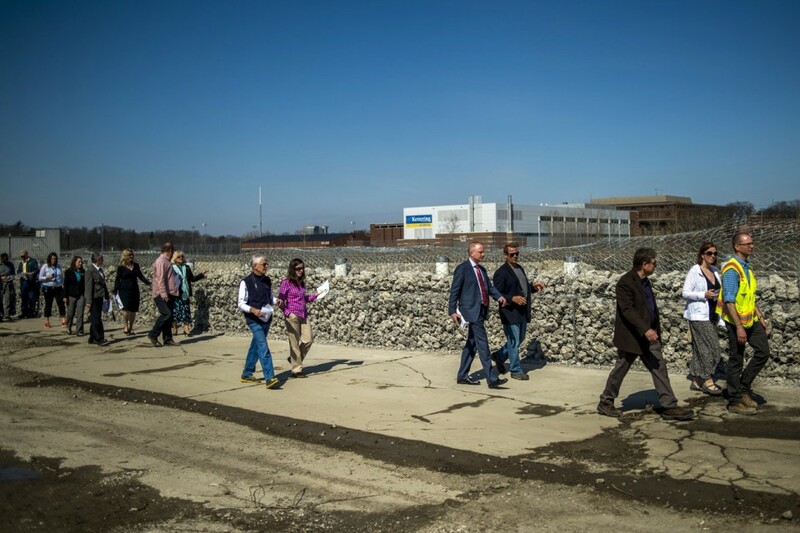 In the interest of helping Flint move forward with this key piece of the puzzle, we offer a more detailed consideration of this particular site. In the Flint’s Urban Riverfront scenario, economic growth in Flint is reinforced by opening up the Chevy in the Hole property for development, providing public access to the river, and creating a public park for neighborhood residents. Within 10 years, a green spine with an urban character networks the surrounding neighborhoods to the downtown and universities. 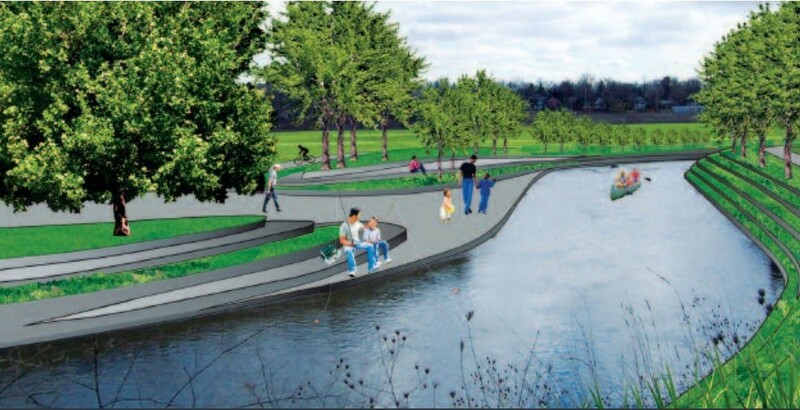 This phase is made up of three main elements: a holistic remediation approach that creates a new circulation pattern and areas for new investment, renovation of the Flint River’s concrete channel, and development of a new city park. 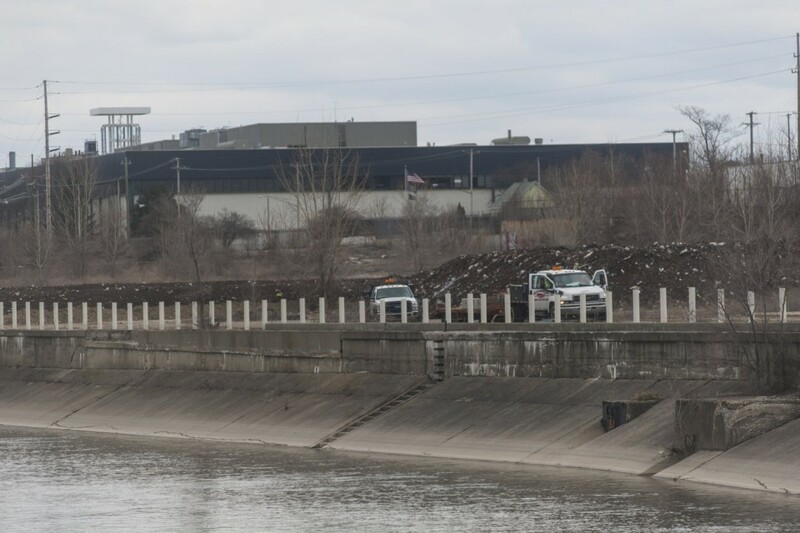 The transformation of the blighted Chevy in the Hole property into an urban park called Chevy Commons officially started on Monday, March 23, 2015, when equipment at the site, which holds a prominent place on the riverfront between downtown Flint and Kettering University. 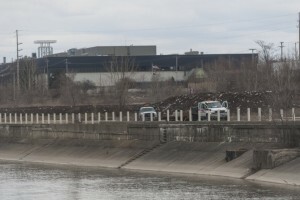 “Chevy in the Hole is in the process of being transformed from a blighted scar into one of the city and the county’s premier green spaces,” Flint Director of Planning and Development Megan Hunter said in a written report to the council on June 22, 2015. “It’s going to be exciting to see the progress on the site in the next couple of weeks. 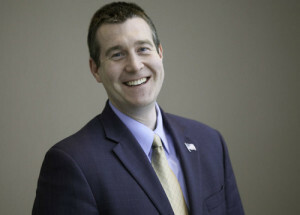 Construction work (will be) done to make sure the entire site is safe,” said Flint Mayor Dayne Walling. The city is leading the effort to turn the site into a natural park along the Flint River that’s expected to include restored wetlands, woodlands, grasslands, and other green areas. The Genesee County Land Bank will continue to oversee the transformation of the old Chevy in the Hole site during a second phase of work. The City Council on June 22, 2015 approved a grant agreement with the Land Bank, putting the agency in the driver’s seat for a continuation of work that started in March at the site. See article describing launch of Phase 1 + photo credit. See article describing launch of Phase 2 + photo credit. Download planning document for Chevy Commons (PDF).